The Radionic Ships of the Heavenly Host | Mother and Father Ship Pairs. Like Negative and Positive Anchor Ship pairs, Mother and Father pairs are a completely different story when closer together then when far apart. If you think some of these guys put on a pretty good show by themselves, wait 'til you see what they can do when close together. Since Mother and Father Ships are not pinned to sitting opposite each other at a distance like Anchor Ships, Mother Ship and Father Ship pairs can sit in relation to each other in pretty well any kind of arrangement they want. Sometimes a Mother Ship will be aligned to its Father Ship partner at ninety degrees with the Mother Ship Ship field sitting perpendicular to the Father Ship field like a T bone steak. The first pair of photographs below shows such a hook up. The Mother Ship Field, also Figure 6 in Starrgram 5 was taken in Brantford on July 2, 2016. The field effect was a Radionic spray coming out of the page to the left with the fish tail out to the right at the bottom. The view was looking due North East. The Mother Ship was lying almost lengthwise straight down the street which ran along in front of the buildings. Figure 1a - A bit of mental gymnastics to be sure, but can't be helped. The Father Ship partner, Figure 36 in Starrgram 6 was captured at the same time looking due South West, lying straight across the view instead of down it like the one above. The pair above was a rare Mother/Father Ship occasion where the two fields joined together. Along the lines of Figure 6 in Starrgram 4, a series of side by side snap shots were taken between the two fields in order to show them tied together. To merge the fields into a single side by side view, PhotoMerge has to see at least a little bit of one snapshot in the next one beside it. If there is not at least one column of pixels common to both then Photomerge has no way of knowing that two different snapshots had been done side by side for the same view, at the same time, at the same place, by the same camera, by the same party, for the same purpose, for the same panorama. It will then have a nervous breakdown and spit the prospective panorama out as a no-can-do. Creative license then has to be taken by the doer involved to put the thing together as at least a 'Show me'. The following Figure is a perfect example of such creative license taken under such desperate measures in order to come up with at least something plausible for the purpose of this explanation. This word smither had fully intended and fully believed the side by side snapped photographs he had taken were of a wall to wall caliber enough to produce a wall to wall panoramic replica of what was being observed. However, there had been a minor difficulty in the differences in altitude above the horizon between the two locations which had not been taken into account. You gotta love Murphy's Law. If it's something important, Murphy will find a way to get you every time. As you can sort of see in the hand merged image below, the Mother Ship side was much lower in the sky than the Father Ship. So the two photos did not match up along the bottom. Fortunately, the top part at least turned out fine. Photographing Radionics is definitely a one shot business. You get it or you don't. The expressions, 'You only get one pull at the ring', and 'Hindsight is very depressing', both came straight out these kinds of endeavors. Actually, two things had been done wrong with this one. First, at least one overlap photo was missed in the side by side sweep of snaps, which left a small gap in the overlap between the two respective side by side photographs. 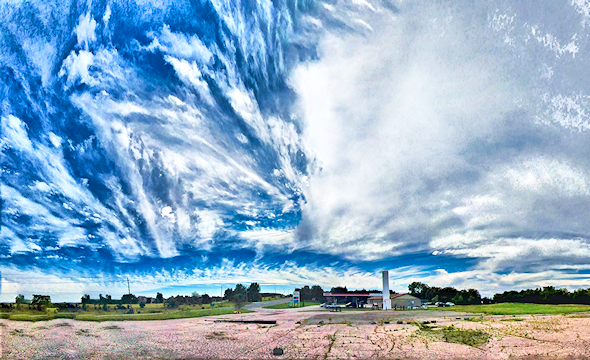 So PhotoMerge did what it always does when it meets its Waterloo, it bailed out. Second, as mentioned was that the fact that the cloud array on the left was low to the ground while the one on the right was quite high up. If the first mistake hadn't happened Photomerge would have pulled it off anyway and done a Salvador Dali along the bottom to make up the difference at the bottom. Instead, it had to be PhotoMerged by hand and this word smither had to do the Salvador Dali like thing along the bottom by muse. Fortunately, as the hand cobbled image below shows, skillful hard wiring produced a reasonable facsimile, which is why you see a distracting splice line down the middle. In particular, the T bone effect came out ok. A close look will show that the Mother Ship is aligned slanting down the page to the right following the street. The Father Ship is straight across the page. The two were at right angles to each other with the field from the Father Ship meeting the field of the Mother Ship in the middle like as said, a T bone steak. You can't tell well in the Figure below because the view has been flattened into 2D, but the Radials on the left are actually coming straight into the front edge of the left page just like a 3D movie. Similarly, the Radials at the right in Figure 1a are actually coming off the field at a right angle to it rather than off the end as it looks. The good news is though that at least enough of the upper portions of the two fields came through the quasi Photomerge to creatively mock up how the Mother Ship and Father Ship were in fact actually magnetically connected together across the ethers. The fact is that the two locations were in fact at ninety degrees is not exactly clear. It's hard to squeeze it out of the picture below, but a short study shows that the magnetic lines of force issuing out from the right side of the Mother Ship convert straight into those at the left side of the Father Ship. Figure 2 - As Italians would say, 'The top went'a well but the bottom got'a pooched'. The next set of Figures below came out much better. No missing gap and no altitude gap. The photographs were taken at the crack of dawn in Hamilton, Ontario on June 27, 2016 by the same Friend of the cause who took Figure 30 in Starrgram 6. The unmistakable presence of Father Ship grill work sits at the left end hanging over the city above the end of the roof tops. The yellow glow lighting up the left end is remnant night glare from the city. The view was to the South East. Figure 3a - Yawn, what the heck time is it. The more obvious whitish shwooshing away fishtail lines of the Mother Ship partner are at the right end shown in the Figure below. The glowing bluish light lighting up the right end is from the first light of dawn. The view is to the North West. Quite the pair. Putting the two together end to end in the same photograph tells a whole lot more. Fortunately, the bridging Radials between the field were properly captured and the resulting Figure below is the whole name of the game. Namely, one end knitted into to the other from one end to the other, very close in and photographed nicely like Figure 6 in Starrgram 4. The whole united field is lying South East to North West and is likely about four or five miles in length based on the locale and lay of the land. Obviously the field had not started up five minutes earlier. Again, it makes you wonder what must be going on at night when no one is looking. 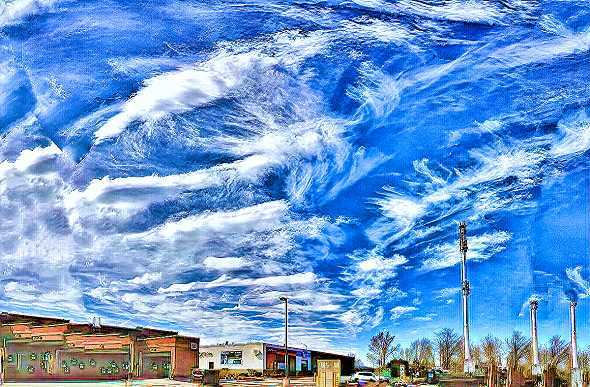 Likewise, hate to stick it to the Chemtrail crowd, but it really is hard to get Chemtrails out of this one. Another Mother/Father pair was luckily photographed in Brantford on August 16, 2016. The wind was blowing gale force strong and the sky was covered with fast moving clumps of grey cumulus clouds skidding by. A sudden break let the Mother Ship side get photographed. 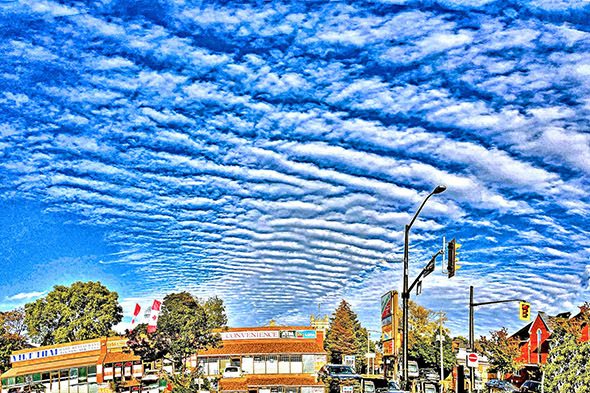 As also shown as Figure 26 in Starrgram 5, like Figure 1a above the Mother Ship was lying somewhat lengthwise down the street looking towards the North West. Again it was a fish tail spray type with tail to the right. Figure 5a - I can see clearly now that the clouds have gone, gonna be a bright, bright, bright, bright sunny spray. About ten minutes later, the blustery overcast broke enough that a quick photograph of the Father Ship side could be taken. The photographs had been taken almost right under the Father Ship side. As you can see in the photo above the Mother Ship side was way down the road. As you can see in the photo below, the Father Ship side shown as Figure 46 in Starrgram 6 was all but straight overhead. 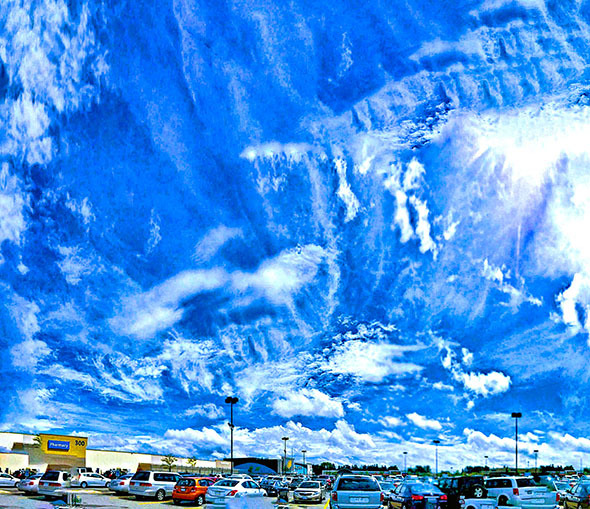 Because of 3D to 2D collapse in the photo, you can't really tell, but you had to look almost straight up to see it. To repeat, the first things to notice are the wide versions of Jeep radiator grills all over the place. The second of course is the partially cloud covered saucer shaped Father Ship condensation sitting right to the right of the tall lamp standard sitting right to the left of center. Notice the wide grills just above it. This is almost identical to the saucer shaped Father Ship and grillwork in Figure 2b of Starrgram 4. The third feature is another Father Ship condensate sitting right under the long strip of grill work at the upper right. Whatever else might be said as said before, this is a darn interesting photograph. There was no connecting Radial bridge to the Mother Ship end this time because the two fields were sitting facing nearly parallel to each other. Figure 5b - What's that revving, I hear a whole pile of revving. The Figure below, likewise taken in Brantford on the 6th of February 2017, shows the somewhat different effect of the horizontal stripping of a nicely balanced side by side parallel Mother/Father Ship pair. The view is to the North West. 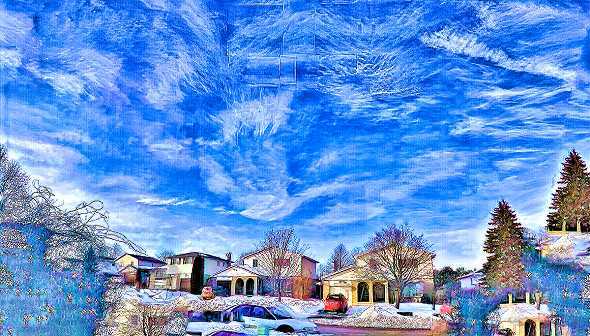 This was an absolutely enormous Radionic field, filling the sky from end to end and side to side, perfectly ionized. An again not so common occurrence except for Anchor Scout Ships. Figure 6a - A well balanced diet, two big cookies in each hand. The South East end of the above was equally photographable, only by the time this other end was reached the horizontal striping had started smoothing out. The Father Ship side, now on the right, is smoothed the most. In actuality, the striping had held up nice and distinct until about half way down the length. This was a particular case where the whole filed was just way to big to capture in total. Considerable effort had been made to do progressive side by side sweeps down the whole length from the one end to the other, hoping the PhotoMerge them into one super looking Fiel filmed from underneath after. What ended up was about sixty slides looking all the same, with virtually no hope of telling which photo went beside which photo. The next pair are a lot of fun for a very exotic reason. The Mother Ship side was photographed in Huntsville, Ontario on June 16, 2016 by the same Friend of the cause as Figures 3a, 3b, and 4 above. The Mother Ship Cloud is pretty hard to miss, sitting smack dab in the middle of a Negative Pole Field sitting smack dab in the middle of the photograph.. Figure 7a - Yup it's me. The semi Saucer Shaped looking Father Ship side of the pair shown below is the story. The photograph was also taken in Huntsville, Ontario on June 16, 2016, by a friend of the cause from Puerto Rica who sent in Figure 15 of Starrgram 6, but had been visiting the other friend of the cause up in Huntsville at the time. There is even a bit automobile type grillwork at the upper left. The story part is that just because a Mother Ship and Father Ship pair are photographed on the same day doesn't mean that they have to show up on the editing desk on the same day. The Figure above was emailed in to this word smither on the day after it was taken, namely June 16, 2016. But like a lost wallet that takes two years to find its way back home, the Father Figure side didn't show up in an email until twenty five months later on July 29, 2018. Turns out that the two photographs were taken by two the friends, on each their own cell phone and obviously at two different times of the day as both photographs were looking straight into the Sun. The pair goes to show that no matter what, you never know what to expect next at both the seeing end and at the getting. The photograph is also slated for Volume II as it is loaded with almost a hundred different Mobile Scout Ships in all shapes and sizes. Figure 7b -The quickest way to a Women's heart is through a wallet. Like has been said, Jet Streams are usually wide and woolly. However, Figures 8a and 8b below from Brantford on June 21, 2018, shows that under the right circumstances a section of the Jet Stream can be an extremely narrow pin-stripe like band of almost all cloud and little ionnizations. On this day, the band ran horizon to horizon from the South East to North West like a thin white center stripe up a highway. The two Figures below are the respective views of the two horizons. The first photograph is the horizon to the North West, the second one is to the South East. The top half of each photo is overly wide courtesy of the PhotoDirector PhotoMerge Program used to produce them. Bad enough at that, but Adobe PhotoMerge had taken one look at the two sets of originals and said 'Yeah right'. So what was got was got. If you envision the two strips having the same widths as just the lower portions up their entire lengths, you would have the whole original horizon to horizon band. Figure 8a - The shortest way to a Man's heart is through an incision. So, what caused the Jet Stream to be so unusually pinched in like a garden hose you might ask. An extremely unusual Mother Ship and Father pair running perfectly parallel and evenly spaced up and down either side of the Jet Stream strip is the answer. An even more remarkable occurrence in this particular adventure is the complete absence of visible Anchor Ship Radionic Fields. What looks like Radionic Field Radials at the bottom of each of the above photograph are actually the respective beginnings and ends of the respective Mother Ship and Father Ship Fields. In other words, the two respective Fields sat perfectly formed all the way from one horizon to the other, going out flat in the photos right from both side of each horizon bottom. Think about that one for a minute. Forget the miles long lengths, the setting had to be perfect for that arrangement to occur. Branford had to be right smack dab in the middle between the two ends of the strip as though measured in by a survey transit. And the location in Brantford had to on the center line between the two parallel fields. Likewise, as the Figures 9a and 9b below together patently show, the two Fields ran perfectly opposite each other on opposing sides of the Jet Stream along its entire length. Think about that one for a minute too, It's like the two had been carefully positioned into place by a computer. knowing that the Jet Stream didn't start or end at the horizons but continued running for hundreds, even thousands of miles. Figure 9a below is the Father Ship side. You can tell that by the horizontal Vs in the middle space, which as mentioned a couple of times in Starrgram 6 says Father Ship all the way. The Field lies along the center bottom just above the trees. As you can see it runs exactly from the one horizon to the other. Altogether about ten miles in real time. The whole view as you look across it, was due South. Figure 9b below is the Mother Ship Field, notice no Vs. The Field is likewise at the center bottom just above the buildings. Likewise, as you can see, it runs exactly from horizon to horizon. Likewise, altogether about ten miles in real time The whole view looking crosswise this time is to the North. Note that the multiple Sun spots in the Figure above are not Nibiru and associates. The Sun was sitting right almost directly overhead favoring a bit to the Father Ship side, and consequently got into every side by side shot taken on the Father Ship side. 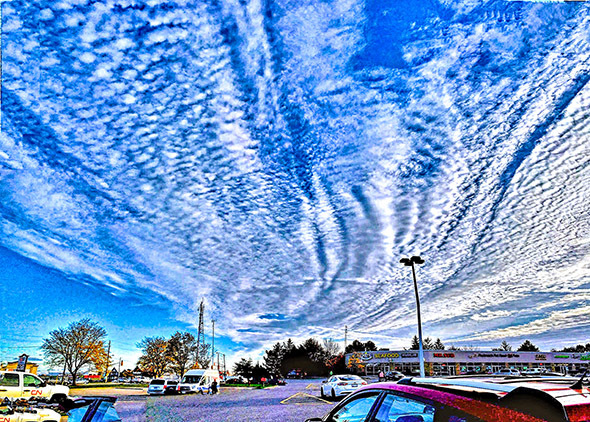 PhotoMerge then parsed them out instead of overlapping them when spreading out the Jet Stream overhead as seen in Figure 8a and 8b above. 5he final Figure below is a full three hundred and sixty degree PhotoMerge sweep of the two sides together like was done for Figures 19, 21, 23, and 25 in Starrgram 4. In case you lose track, the Father Ship side is at the left and the Mother Ship side at the right. The vertical point in the center is the one looking to the North West in Figure 8a. The ones on the two sides are the same Figure 8b looking to the South East. A final and extremely extraordinary result of the circumstances is that the Jet Stream was pinched into the narrow band down its length shape because the pressure from the two opposing Radionic Fields pressed in equally on both sides. Similarly, the Jet Stream wasn't directly overhead when the photos were taken, all but, but being just a little bit over to the Father Field side. Consequently, when the whole three hundred and sixty degree side by side set of photographs were taken, the Jet Stream overhead didn't show up in the Mother Ship side at all as seen in the Figure below. Likewise, and unfortunately, given the set of photographs that were taken, a single thin Jet Stream up the middle between the two parallel Fields could not be reconstituted despite many tries. Also, notice a couple of dangling participles like Figure 42 in Starrgram 6 at the upper right side, also courtesy of PhotoMerge. Interesting day. Also, it looks like a fatal flaw in the PhotoMerge programs has also been uncovered. They just don't seem to like parking lot light standards. Figure 10 - Somebody should patent these levitating light standards. Catching a Mother and Father Saucer Ship pair in the same single photograph such as Figure 6a and 6b above is a bit more privilege than luck. Catching a Mother Ship Field and Mother Ship Field connected across the ethers like Figure 4 above is a lot more by luck than privilege. Catching a completely unconnected pair sitting parallel side by side in the same photo like the Figure above is even more lucky. Recall that the side by side parallel pair in Figures 5 and 5b weren't shown together in the same photo. On the other hand, catching a side by side pair of criss-crossing Mother and Father Ship Fields in the same photo is somewhat more common. The following criss-crossing pair of Fields was photographed by the Ottawa friend of the cause on June 9, 2016, looking North West into the setting Sun. Mother Ship tendrils like Figure 9 in Starrgram 5 can be seen up the center left, and whispy Father Ship fronds can be seen sticking out at the bottom right. The overlap between the two fields is up the center. This is likewise quite the photograph. The nearly perfect little blue square just right of the telephone pole relates to portals as discussed in Volume II. The short little piece of Contrail way up above the telephone pole near the center top also has to be useful for comparison. Also interesting is the shadowy little helicopter thing sitting in the clouds just right of the power transformer. And also, what looks like Taikotean Root Race writing sits just to the left of the telephone pole near the bottom. Maybe that's not a telephone pole after all, maybe it's a Tardis from the British Si Fi series Dr. Who. Maybe this is the Twilight Zone. This image also demonstrates the significant changes which have occurred recently on the Radionic front since the spring of 2014. For the thirty odd years that Radionics had been observed in Ottawa, none had been anywhere near this up close as the mid nineteen nineties photos near the beginnings of Starrgrams 2, 3 and 5 tend to imply. Figure 11 - Who? Dr. Who that's who. Who's Dr. Who? Similar to the Figure above, the following image below was photographed over the roof of his house by the friend of the cause in Medicine Hat, Alberta on April 4, 2017. The image is likewise the result of a Mother Ship and Father Ship pair sitting in very close proximity with their Radionic fields interacting. In this case the Father Ship is slanting upwards at the left and the Mother Ship slants upwards at the right. The photograph sure looks similar to the one above despite being nearly a year apart and three thousand kilometers away from each other. Figure 12 - Who's left, don't know, never met him. On the other hand, another common variant is a few of the same type of Ship in the same view. A double Father Ship dragonfly larva pair appears in the Brantford photograph below, previously shown as Figure 41 in Starrgram 6. The main Father Ship is smack in the middle coming in from the left. A very short Father Ship Filed sit just beyond the end of that. Another smaller Father Ship Field is slanting upwards from the center at the right. There is also a vertical Mother Ship Field at the very bottom center. As also explained with Figure 41, the intense ionizations up the whole right half of the Figure are from the sudden powerful Radionic influences on the Jet Stream passing through which produced an abrupt fantastic display for all those who saw it. Don't start looking around for Volume II type Mobile Scout Ship condensates unless you have nothing else to do for awhile. Figure 13 - Like Man, you had to be there. Like Man, yowser yowser youser! 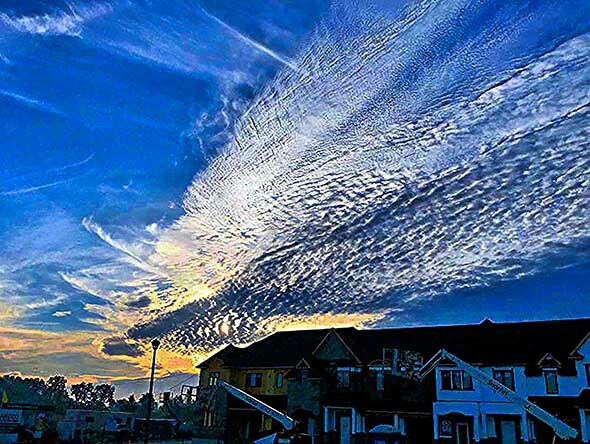 As also explained earlier, the Jet Stream is usually very wide and mixed with a combination of clouds and of Cirrus level ionnizations from the friction of its fast passage through the atmosphere. The Figure below photographed on the Six Nations Reserve South of Brantford on September 9, 2016, is a perfect example. All Jet Stream ionnizations are not just hap hazard noises however. Often Radionic Ships will ride along for the ride and it will show in the Jet Stream ionnizations. The Figure below shows a very long Mother Ship ionnization like the top half of Figure 28 in Starrgam 5 across the center bottom. There is also a very long thin Father Ship Cloud going from the center to the left just above that. There is also a shorter Mother Ship Field up the center left. There is also a small Mother Ship version like Figure 10 in Starrgram 5, sitting vertically to the lower right of center. And there are also some Father Ship car grills just right of center at the top. Whenever the Jet Stream is moving through, it is not uncommon to see a Radionic Cloud or two sitting quietly around enjoying the ride. In an arcane little aside tidbit, Native North American culture has had a small tangent to this crowd smither's past. Throughout the early fifties this word smither would spend the summers at Winnipeg's YMCA summer camp named 'Camp Manitou' about ten mile west of the city along the Assiniboine River. As the name implies, the camp was Native themed all the way. Every Saturday night was Council Ring night. The different cabins would spend Saturday afternoon preparing a Pantomime to present at the Council Ring that night. The winner would have the honor of being the winner. Once dusk settled a big bon fire would be lit in the middle of the Ring to start things off, and the Camp Chief would begin the activities by giving homage to the Four Winds. Holding a gaily decorated peace pipe high in front of him, he would turn towards the West and say, 'To the West Wind, that our endeavors tonight may be of a great success', or words to that affect. And would finish off with 'Hya dwa da, de dwa da, de dwa de dwa de dwa da'. He would then do the same in turn to each of the other three winds. Then the frantic process of everyone trying to remember their part in their cabin's pantomime would begin. Over sixty years later, after a long stint in Vancouver BC, short stints in Denver, Colorado, Spokane, Washington, and Halifax, Nova Scotia, then five years in Calgary/Edmonton, Alberta, and finally thirty two years in Ottawa, Ontario, this word smither as mentioned moved to Brantford, Ontario, at the beginning of two thousand and thirteen. Only a couple of blocks away from the original Brant Street location where a number of the original photographs in this Rrevelationnum were taken, sits a Native Dental Office with the words 'De dwa da dehs nyes' sitting majestically over the front door. The words mean 'We're Taking Care of Each Other Amongst Ourselves'. There's a lot going on that young kids just don't have any idea about. Figure 14 - To the four winds, that our endeavors today be of great success. On the other hand, no one ever said that a Mother/Father Ship pair had to be on opposite sides of the fence or even close together or even far apart. A Mother/Father Ship pair of completely different kinds was found on the Internet. The Father Ship is in a Fall Hole in the lower center like Figure 3 in Starrgram 6. Mother Ship tubes rise up from a Mother Ship condensate sitting left of lower center. Nothing is cross connecting in the middle as the Father Ship frillies don't extend past the Fall Hole. Another side by side pair of a completely different kind came from the fiend of the cause in Kampala, Uganda on January 1, 2016. In the Figure below the two Ships are sitting side by side. Actually, it's the same view as Figure 2 in Starrgram 5 only at an earlier or later time. Mother Ship tubes are on the left and Father Ship fronds are on the right. Instead of merging, the two fields crisscross. The crisscrossing between the two can be seen up the middle and to the right. If you were underneath the sky overhead would look like broken glass. 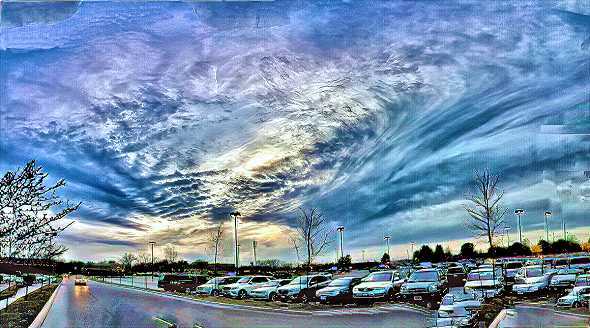 The sky in Ottawa used to break out into very broken glass from time to time. Unfortunately, as there was no motive for photographing them at the time no photos were taken. The following very interesting Internet photograph from Paradise California shows no less than five Mother Ship and Father Ship Fields together. The joint pressure of the first two has opened a large hole in the cloud. The Mother Ship is in the top left side of the cloud hole with its Field lines extending out vertically into the cloud cover above the hole. The Father Ship Field is covered by a grey cloud patch in the middle, but its frillies can be seen spreading out both above and below the hole. This photo proves for a certainly that some Fall Holes are related to Radionic Ships and not just from passing jets, otherwise there wouldn't be the Radials lines there now would there. As evidenced by some more Radial lines, another Father Ship sits at the center bottom and a Mother/Father Ship pair sits slanting upwards at the center right. Figure 17 - Campgrounds are great. You see a lot of interesting things you don't see in the city, like scorched marshmallows. Likewise, here's a Father Ship and double Mother Ship combination below from the Internet, showing Radionic stuff in all directions. The image has small Father Ship fringes inside the hole and large Mother Ship tubes outside. The photograph was from Ann Arbor, Michigan at an unknown time. The source of the big tendrils is the long center empty Mother Ship field at the bottom right similar to Figure 2 in Starrgram 5. The tendrils have really really been affected by the Father Ship in their midst once past the Fall Hole. The other Mother Ship is behind the trees and buildings at the bottom left. Notice the crisscrossing lines near the center bottom and squigglies along the lower left. The green tint and the road view suggests it was probably photographed through a tinted windshield. Many a Pundit, plus quite a few hieroglyphics suggest that Radionic Ships were around at the time of the Pharaohs. The following image of Queen Nefertiti and her Pharaoh Akhenaten seems to suggest that they probably were. The Pharaoh is on the left and the Queen on the right. At least you now know for sure where the Egyptians got the idea for their famous gold ordainments and Classical head gear. Figure 19 - So what are we going to do about this kid Tutankhamen. An even better version of a Mother and Father Ship pair sitting together is shown in the Internet example below. A perfectly formed kafuffle type Father Ship field sits a'top a perfectly formed Mother Ship Radionic Field in the center left. It can't get much better than this for distinct proximity. Notice also along the bottom right, some long Fall Hole events like Figure 4 in Starrgram 6 though nowhere near as long. Also notice, a Mother Ship pod almost identical to the right side of Figure 27 in Starrgram 2 sticking out left from the cloud towards the left edge. The same thing in reverse has the Mother Ship on top and the Father Ship on the bottom, plus a half a dozen little siblings tucked around here and there for good measure. As the original Figures at the top showed, Mother and Father Ship pairs also co-exist commonly outside of Fall Holes. The image below from the Internet boasting about someone's vineyard, is an almost perfect example. The Mother Ship takes center stage across the top, the Father Ship takes stage right at the right. This is a straight up win win for everybody. Somebody gets free publicity for their classy wines, this Disclosure gets a near perfect example of a point being made, and even an element of well framed artistry is in there by whoever took the photo. Figure 22 - It's all in the grapes I tell you, the grapes. In a variation of Figures 39 to 42 in Starrgram 6, a not so front-end kafuffled Father Ship with fishlike fins sits bold and clear at the top of the Figure below. For the record, a similar fish finned Father Ship can be seen coming in from the left in Figure 16 of Starrgram 2. In a very big dose of serendipity a somewhat less ostentatiously fish finned Mother Ship equivalent sits right underneath. Figure 23 - 'You can do anything better than I can, you can do anything better than I'. Two completely different type of Mother Ship or Father Ships fields in the same area are also possible. As the following double whammy Mother Ship view from the Internet abundantly shows, previously shown as Figure 9 in Starrgram 5. One 3D movie type Mother Ship field sits straight out of the Figure above, while the other is horizontally almost akin to Figure 2 in Starrgram 5. The open mode one is just sitting there cross camera, the vertical one is looking lengthwise down its length. Turns out that Figure 10 in Starrgram 1 was a big sleeper with Mother Ships and Father Ships all over the place. In case you missed them, as shown below a Father Ship field sits up the middle, a fish finned Father Ship field is coming in from the center right, a small Mother Ship field sits right over the X, and a pair of Mother Ship fields like Figure 3 in Starrgram 5 are sitting partially side by side at the upper center right. How the X got in there is anybody's guess. Figure 25 - No problem, we're reconnoitering around. Tomorrow we'll just connoiter. 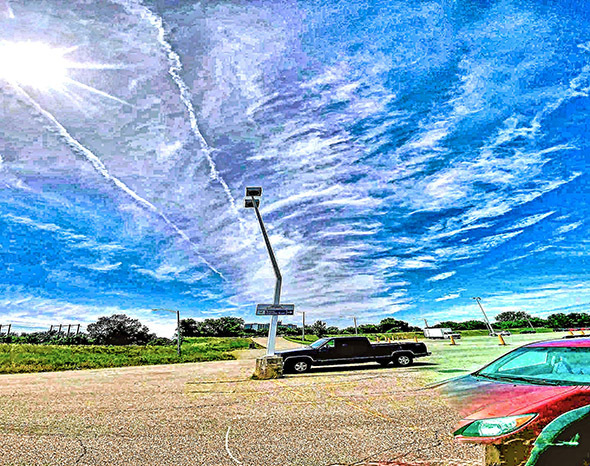 The following image from off the Internet, no doubt one end of a similar end to end occurrence like the Figure 6a above and hand merged, not PhotoMerged, into a panorama, shows the side by side effect of horizontal striped Mother and Father fields yet again. The Father Ship Field this time is on the left and the Mother Ship Field on the right. Similarly, the view is looking straight down its reach like in Figures 6a and 6b above. Figure 26 - Bifurcation will commence in twenty seconds. The lattice work type Mother Ship Field form 15 Starrgram 5, is actually also another Mother Ship/Father Ship pair. The Mother Ship Field at the center left is obvious. A not so obvious whitish Father Ship Field slants upwards from the middle right. The Father Ship is actually in quite close to the ground. Notice that the frillies are sitting in front of the cloud layer in which the Mother Ship Field is reflected on the other side. Photographing the setting Sun is likewise a popular pastime for many with good reason. Everyone knows the setting Sun can be a pretty busy beaver. Radionics sweetens the kitty. The following image from the Internet shows an even more dramatic Sun drenched Radionic version of the lattice Field above. This time it has the Mother Ship and Father Ship with mutually equivalent Fields lying side by side along their length. Specifically, the Mother Ship is the big red lattice down the left, the Father Ship is the similar rack with thinner Radials down its right hand side. Whatever else, you have to admit that these magnetic fields really relish Sunlight, and the Sun really has a handle into what's going on. Which brings everything around to the Figure below, which is using up just about every drop of water vapour that ever existed. A Mother Ship runs across the middle left, a Father Ship across the middle right. The two are sitting basically end to end. with a big clash up the middle. The same thing across the bottom just above the hills. Where the fields meet sparks start to fly. Based on the prevailing landscape both Ships are pretty big. No wonder the cows are standing around wondering what's up. And if you want a field day for finding Mobile condensates, you're looking at it. Figure 29 - We're here to give you some sagely advice, 'Never camp downwind from the herd'. Internet technicians speak of backbones. This refers to the major data trunks where large amounts of Internet usage for a particular carrier are hooked up to the Internet at large. The double Father Ship Figure below has enough backbone for anyone. Dr. Jim the Chiropractor, directing a documentary about backbones has a photo of this on his office wall. Also, note the volcano blowing out a Contrail in the background. A quick glance wouldn't show it, but the backbone is a tarmac for Mobile Scout Ship Condensates of all type. Figure 30 - Never go to a Chiropractor who's gone bankrupt. Now it gets a little intriguing. The image below, Figure 23 in Starrgram 6, features a Father Ship field above the Motel and a Father Ship dragonfly larva at the middle left. No problems there. But it also has a complete Father Ship Pontiac grill sitting at the upper left which is where the fun begins. This had been a very large Radionic Field and one part was much lower in the sky than the other part. So it had to be photographed in two separate parts. The second part shown below was to the left of the one above and much higher up above the horizon, featuring a Radionic Father Ship seed pod somewhat similar to the iridescent one in Figure 35 of Starrgram 6, and also Figures 8 and 27 in Starrgram 2. Now starts the fun part. The Pontiac grill in the Figure above is the same Pontiac grill visible in the Figure below. Check out the horizontal V at the right end of both. Now take a good look at the difference in sizes between the two pictures. The grill with the pod is much smaller, ergo, the Father Ship seed pod is actually humungous in comparison to the original Father Ship field above the motel with the Pontiac grill holding the moderating factor of comparison. The Pontiac grill pod itself is a quirky manifestation of the magnetic forces between the Cigar Shaped Father Ship field in the Figure above, and the seed pod shaped Father Ship field in the Figure below bumping together. When mighty forces meet, funny things can happen. Figure 32 - Maybe thunder really is caused by clouds bumping their heads together. The following is a high altitude photograph similar to Figure 4 in Starrgram 6, taken over someplace at sometime. This time featuring a long Father Ship settled in a Fall Hole at the middles left, a quite long Mother Ship with fish fins sitting out in the open right in the middle, and a second very long Mother Ship lying in the opening at the far center right. Remember also, that Mobile Scout Ships create popcorn clouds, and yup, there they are. Like said before, the high altitude and satellite archives could tell a lot of Radionnic stories. Figure 33 - Location of the Sky River Rock Festival and Lighter than Air Fair. As also mentioned above, catching a Mother Ship and Father Ship together in the same photograph is tricky enough. Even trickier is catching a pair of Mother Ships or Father Ships in the same photograph. The next Figure below features two Mother Ship fields lying parallel to each other. The first is the beautiful fish tail Cloud right across the bottom. The second is a little short version just above, peaking out from beside the cloud cover in the lower center. To give you an idea of the power of some of these fields, take a look at how the ordinary cloud cover around has been bished and bandied about. Figure 34 - Take that and that, no charge. The Figure below next is very interesting for a number of reasons. 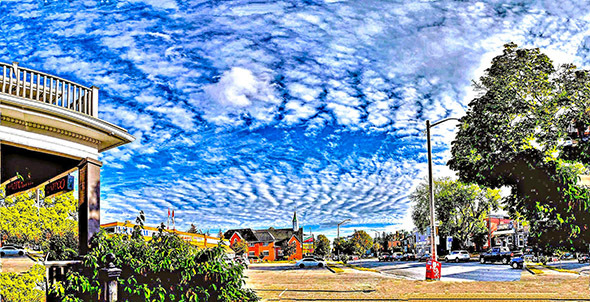 First is the fact that it was photographed on September 27, 2017, only two blocks down the street from the first big original round of Brantford photos shown at the beginning of Starrgram 2 and 3. That it involves Mother Ships instead of Anchor Ship is moot. Look at the Church from Figure 8 of Starrgram 2 sitting front and center in the photograph. It is from the side this time instead of the front. Though not all that clearly, it is the same church. The view is to the South East. Second, the view has two Mother Ships sitting parallel one on top of the other like the Figure above. This time in two different frequencies of the fourth dimension. The upper Mother Ship is in the clear patch in the middle at the frequencies of the upper fourth dimension where the Radionic effect is all Cloud and no Ship. The lower Mother Ship is in a lower octave where visible Ship condensations and localized Radionic fields both occur. Count the Radials both above and below. The above field has eleven, the lower has twenty four, more than double. Ergo, two different Ships. Third, part of a Father Ship Field is sitting right to the upper right above the tree. In fact, a friend of the cause who had a much better view at a large shopping center at the time but didn't have time to photograph them, reported there were actually four fully visible Radionic Fields all up at the same time. The fourth Ship mentioned above was actually another Mother Ship Field looking straight away from a slightly different view point in the same local, and at ninety degrees to the left of the above looking due East. The Church is now at the right edge and the convenient store is head on. The left edge of the Filed above is visible at the lower right edge of the image below. Seeing all four Field completely unobstructed at the same time must have been more than a little bit breathtaking. Figure 36 - It's quite the stretch, but why not. On the 25th of June, 2018, a very similar two tiered Mother Ship Field was photographed from almost the same location as Figure 31 above. This time looking to the South West. The smaller Field is just above the building in the middle. As for the bigger Field, you kind of have to be blind to miss it. Figure 37 - What Field, where. Likewise the Figure below shows the Mother Ship equivalent of a side by side appearance of Fields in the form of a pair of open mode presences like Figure 2 in Starrgram 5. The photograph was taken in Kampala on August 13, 2016, by the friend of the cause, and there is no doubt about where the two fields are. Figure 38 - We like to come and see Victoria Falls. Since Mother and Father Ships are not required by any law known in the Universe to sit face to face a long distance apart, nothing stops two Mother Ships or two Father Ships from sitting energetically together face to face along their lengths. What is particularly interesting is when their Radionic fields hook up like the Radials between a pair of Anchor Ships but of the same Polarity. The result as seen in the Internet photograph below will be completely different than when two opposite Pole Ships are joined at right angles like Figure 2 above or end to end like Figure 4 above. The crosswise Radial lines in the Figure below, viewed looking down the ally-way between them, are from two Mother Ships sitting parallel to each other off camera on either side. Notice that there are also a number of intriguing little Mobile goodies in this one, particularly in the cloud at the upper right. All grist for the mill for Volume II. Figure 39 - There really does seems to be a lot of really funny stuff going on up there, particularly in the clouds. If harmonized field occasions between two Mother Ships is possible, why not also between two Father Ships. How about the Father Ship equivalent of the above, implying two Father Ships sitting together side by side with their Radionic fields likewise harmonized across the center in a once in a while opportunity. The view this time is looking down the ally way between them, from the opposite end of the event than the above . Unlike the Figure above, where there are no signs of the actual Ship's Fields themselves, the Figure below shows strong Byzantine looking Radials set up between the two Fields, with one Ship's Field shown slanting upwards slightly from the center bottom left, and the other slanting upwards slightly from the bottom right. The two Ships are likewise lying face to face, likewise looking down the page towards the back. Almost like looking down a glass covered center Mall of a large Shopping Center. The tip off is that the foreground is normal, proving no camera tricks. What looks like it could be camera tricks is merely the fact that this was another very small image from off the Internet blown up way more than it would like to be. Whoever says Radionics is boring doesn't get out very much. Figure 40 - It takes two to tango, like really Tango. In a second similar Byzantine type effect from the Internet shown below, somebody took the trouble to do a double set of side by side clicks connecting the one field with the other and then back again, the same way as was done for Figures 19, 21, 23, and 25 in Starrgram 4 and Figure 10 above for a nearly full three hundred and sixty degree sweep around This likewise produced the two arches seen below instead of just one. The Internet original was quite large this time the much better fidelity after re-sizing shows well. Compare it to the Figure above, which started out as quite a small photograph off the Internet and has no refinement. And of course Saucer Shaped Mother and Father Ships pairs are not to be left behind. As seen below though not as clear, a Mother Ship partner to the Saucer Shaped Father Ship in Figure 45 in Starrgram 6, is sitting at the center rightish just above the trees. While this is a relatively uncommon type of Mother Ship condensation, it is a fairly common type of Father Ship. Figure 42 - And you thought I was nothing more than just a crummy looking Positive Pole Anchor Ship Field didn't you. A Father Ship Field photographed in Brantford on the 25th of September, 2016 has exactly the same type of Saucer Shaped Mother Ship condensation as the above sitting right in the middle of the picture. It even has a horizontal V acting as a big arrow pointing to it out to help you out. 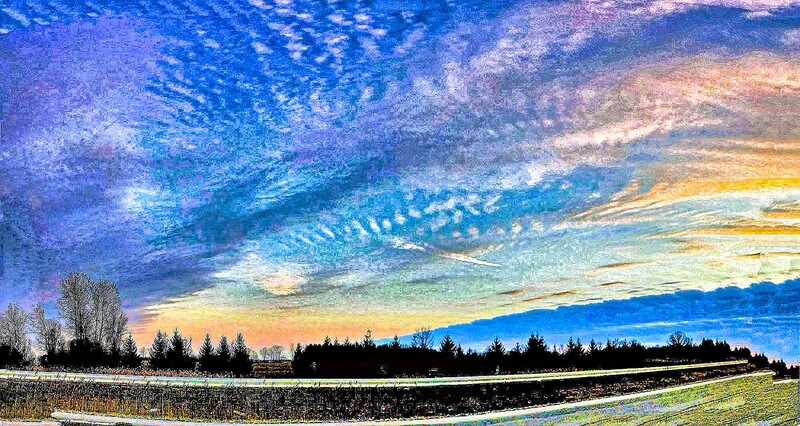 Figure 43 - We get by with a little help from our Vs.
Then as though to make this work a breeze, the following amazing photograph was taken on March 5, 2017, on the highway halfway between Hamilton, Ontario and Brantford. The view was into the setting Sun looking South West. The photo is a bridge club of at least five completely different types of Mother Ship and Father Ship Fields. Rather than laboriously pointing them all out, simply notice that there are both big and small White Mother Ship Radial Fields all over the place. Plus also, a small dark oval set of Father Ship frills at the center left. Plus also, another set of dark Father Ship frills at the extreme upper center left. Plus also, another Mother Ship Field in behind that. Figure 44 - Mothers are mutli-taskers, looking after the cave and kids. Fathers are single minded, staring fixedly at a trail hunting for game. Then right on cue, another similar multi-faceted Radionic Field came in from the friend of the cause in New Zealand on the 4th of April, 2018. The photo was taken in the same South Island location of New Zealand as Figure 25 in Starrgram 6, sent in by the same friend of the cause. This one has a difference though. As show below it is sporting a ten mile long Pipe Shaped Father Ship Field in yellow sitting right out in the open. The Field has not been distorted by the wind or covered in cloud. Miles of it are showing in the photo. Who except possibly the party who took the photo knows exactly how long it actually was. 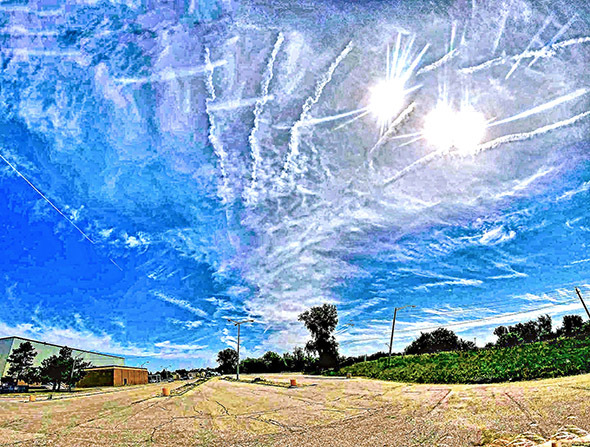 A large spread of Radial lines show that the photo also has a large cigar shaped Mother Ship Field sitting just above it to the left. There is also evidence by the smaller set of white lines at the right side of the blue section above that and in the smaller blue section to the right of that, of yet another smaller Mother Ship Field sitting just about in the middle of the photograph. That the yellow pipe in the Figure Above is in fact a Radionnic Father Ship was not just a wild guess. A blow up of the left end of the Field shows frilly Father Ship Radials coming off above it it all along its visible length. The Radials are not wrapping around a cigar or saucer shape however, a close look shows that they are all sitting parallel like the teeth of a comb. Uniquely showing this to be a miles and miles long Father Ship cylinder. The Manhattan skyline along the bottom edge of the Ship's Field is also very interesting, Hmmm. Similarly, for those of you who care to look there are hundred of Mobile Scouts Ships all over the place. In particular, causing the mush of clouds just right of the blue area at the upper left. Also in the light pink clouds at the lower right. Also, in particular as larger spheres near the upper right edge. Also in the darker pink clouds at the top left in the Figure above. You got to give these New Zealanders credit, they really know how to put on a show. The blow up shows that there is another much smaller Father Ship Field lying just below near its left end. Figure 46 - Maybe Heaven really does exist up there in the clouds. A similar multi-populated area was photographed by the Friend of the cause in Winnipeg. 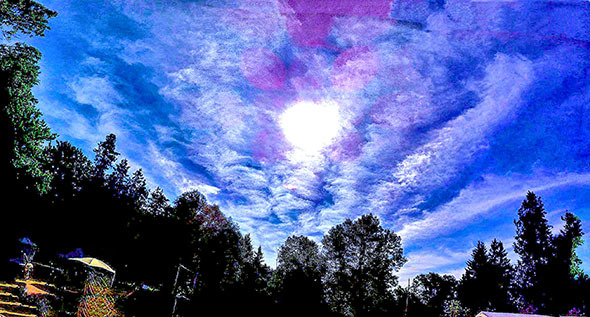 The photograph this time was taken in Sudbury Ontario, on August 8, 2018. Though not as busy as the one above, it still has some nice relevancies. The first one is obvious, a partial long Mother Ship Field at the left. The second is a very small open Mother Ship Field like Figure 2 in Starrgram 5 sitting at the middle right edge. The third is a small upside down Father Ship Condensate sitting upper just right of center. Just above and to the right of that is an unusual Father Ship Cloud, very faint, but with a round Radionic Field almost like a sunflower. A slew of Mobile Scout Ship Condensates is causing popcorn across the middle. Maybe everybody's popping in to grab some nickel. Figure 47 - Nickel's magnetic, maybe that's why our Fields seem so phase shifted. The following picture off the Internet tells about fifty stories. You know by the previous examples what happens when a Mother Ship Field or Father Ship Field gets together with an Anchor Ship Field. But what would happen if a Pyramid got into the picture. Everyone knows that Pyramids are supposed to give off stuff out the top, why the heck else would you buy one for your coffee table. The image below shows what the 'what' would be pretty impressively. Namely, the Mother Ship Field gets boiled in oil. Any one who thinks that pyramids are just chunks of rock need to look again. Even the Father Ship Field coming in from the left is taking a big hit. The original pyramids were introduced fourteen thousands years ago as Energy frequency transformers. Earth had just entered the Virgo Dispensation which is Earth Energies related. The Pyramids were set up to help in the induction and distribution of the incoming Virgo Astrophysical radiations which were pretty powerful at the time pursuant to the Dispensation. The incoming radiations were received in Earth's Fifth Dimension. The Pyramids were located over Planetary vortices, where the Energies would concentrate, rise up through the Pyramids, and be radiated out to the Third and Fourth Dimensions. The Pyramids have been working continuously ever since to re-distribute the Virgo frequencies coming in regularly on a daily, monthly, and yearly basis consequent of Earth's yearly Sun sign cycles. The open hexagon in the upper middle of the Mother Ship Cloud is a portal, to be discussed in Volume ll. Figure 48 - Ahhh, the Cosmic equivalent of a nice Sauna. Likewise, just because a Mother and Father Ship pair are almost corporal doesn't mean they can't be caught hanging around together. 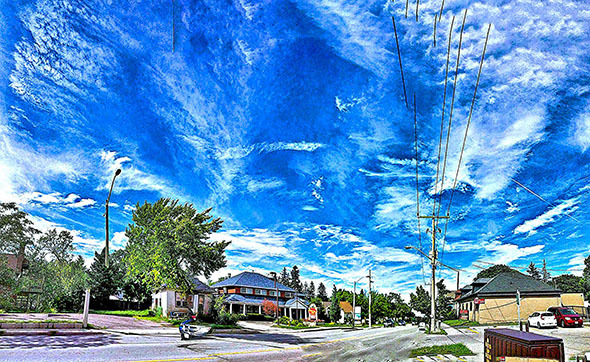 Figure 50 in Starrgram 6 shown below, has a number of small Cigar Shaped Mother Ships on either side of the more obvious Father Ship rod in the middle, particularly at the right edge.. Plus, On the other side of the telephone pole are a slew of Mobile Scout Ships along the top of the clouds. How the telephone pole got to be the boss of who goes where is anybodies guess. Remember, the terms, cylinder. cigar shaped, saucer shaped. pipe shaped etc, reflect different Energy configurations not objects as they are known by Man. As should also be obvious, nothing in the order of things that Man's ways can impose or disturb, would make the slightest difference in the ways these Radionic Ship come and go and move about being about their business. They are about their Mother and Father's business, and nothing Man can do or ever will do will ever get in the way. Ships like in Figure 4 of Starrgram 6 and Figure 45 above are ten miles long and filled with people. That's a lot of people. They are not here on a Tropical vacation. Among the many things they are doing, they are here helping to dissolve away the Nplus static in the auric fields of the fourth dimension. A lot of the lower octave cleaning up now undergoing, concerns the static residues left in the wake of the explosions over Sodom and Gomorrah twelve thousand years ago . The two Atlantian centers of Sodom (vice) and Gomorrah (crime) were in North America, called 'The Cities of the Plains'. Sodom was near what is now the BC border North of Spokane, Washington. Gomorrah was offshore of what is now the city of Miami, Florida. Through severe moral corruption the atmospheres over the two cities had become packed with a dense conglomerations of negative Fourth dimensional Nplus static. The Atlantians knew about the power of crystals and were adept in their use for healing. Disputing negative factions in Atlantis developed large laser cannons using the crystals, and eventually fired them on each other. The concentrated laser Energies caused the two dense aggregations of static over Sodom and Gomorrah to explode causing World wide cataclysms and bringing down Atlantis. The episode is now known as the great flood in your Biblical texts. The large static concentrations were spewed all over in large globular pockets like banks of fog. The Sodom explosion fumed South leaving an enigmatic surface scar just south of Spokane, Washington called 'The Palouse'. The Gomorrah remnants are now offshore the city of Miami. North America was allowed to lie fallow for ten thousand years afterwards in order to let the static residues dissipate. Some residual pockets of the negative static have still remained, enhanced today in the areas of population concentration because of the continuing lesser conditions of spiritual misunderstandings and malfeasances resulting from the Crucifixion of Christ. two thousand years ago. The Ships themselves don't dissolve the static, the Static is dissolved through the consciousnesses of those aboard. just as you are required to dissolve the negative static in your own consciousnesses through your own consciousness actions. Ships like these of all sizes and frequencies are quietly moving around to the areas affected, helping to dissolve the statics once and for all as among the many chores being done today by the Heavenly Host during Armageddon.